InstaForex is an international brokerage company established in 2007. Within the first few months of its existence, the broker signed agreements with MetaQuotes Software Corp., a leading producer of online trading software, and a number of prominent media suppliers (eSignal, Reuters etc.) providing informational support. Moreover, InstaForex also made business arrangements with global contractors and obtained access to the interbank foreign exchange market. InstaForex is eager to maintain the highest standards of services it offers to traders, investors and partners. Our team consists of top-level experts and highly-qualified professionals in financial consulting, legal services and dealing operations. The number of employees working at InstaForex is constantly growing as the company seeks to engage the best specialists in the field of online trading. We keep track of the latest trends and innovations in the brokerage market. More than two million clients have already chosen InstaForex for the outstanding quality of services we provide. Today InstaForex is an international broker that facilitates access to trading in all financial markets across the globe from Forex through the ECN model to derivatives and commodity instruments such as CFDs on stocks listed on the New York Stock Exchange as well as futures for gold. Another notable achievement of InstaForex lies in the fact that its clients were the first ever to transfer money from trading accounts to VISA cards and manage their funds by using InstaForex Bancard. The company has also introduced PAMM accounts; ForexCopy, which is a system for copying successful trades; binary options etc. In 2010, InstaForex became the first broker to launch eight MetaTrader servers and provide its clients with an opportunity to open live accounts in the MetaTrader 5 trading platform. What makes InstaForex the undisputed leader among other brokers? We provide global coverage of financial markets along with highly attractive trading conditions and a wide range of services designed for easy and secure money transfer, investment and management. We are proud to be the best at what we do. The awards presented to InstaForex speak for themselves: Best Broker in Asia, Best Global Retail Broker, Best Broker in Eastern Europe, and many others. InstaForex has achieved recognition for professional excellence and commitment to its clients as it received top rankings from numerous financial magazines and agencies. One of the latest awards is Best Web Trading Platform 2015. You can browse the full list of awards here. Our company is constantly searching for opportunities to improve the existing technologies and develop new trading solutions. We always keep abreast of the latest innovations and emerging technology trends. 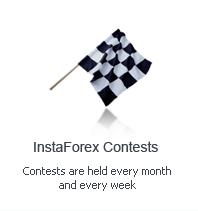 InstaForex encourages traders to master their skills and supports its partners in all aspects of affiliate activities. We hope that you will appreciate the quality of our services and enjoy working with us. Learn more about InstaForex and its advantages in the About Company section.